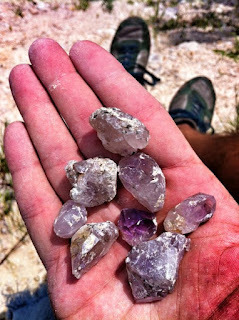 I spent the day Friday in Tignall, GA digging around an Amethyst mine. I found some great pieces of the mineral. I'll place them on the science shelf so you can take a look at them, too! One of the first science topics we will discuss this upcoming school year is the rock cycle. We will learn about how such minerals and rocks are formed. 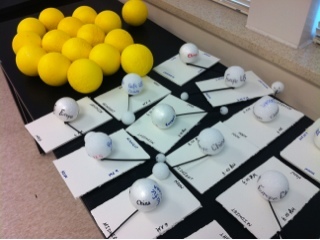 Some of my fellow science teachers and I spent some time this week creating activities for the upcoming school year. Get ready for some fun hands-on projects!